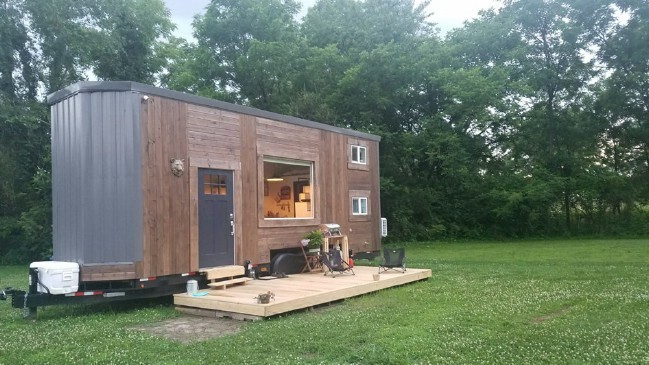 Tiny houses are often at their best when they feature big windows. With expansive views and lots of natural light, houses like these make the most of outdoor space. They make you feel like your surroundings are part of your home, and like your house is part of its surroundings. 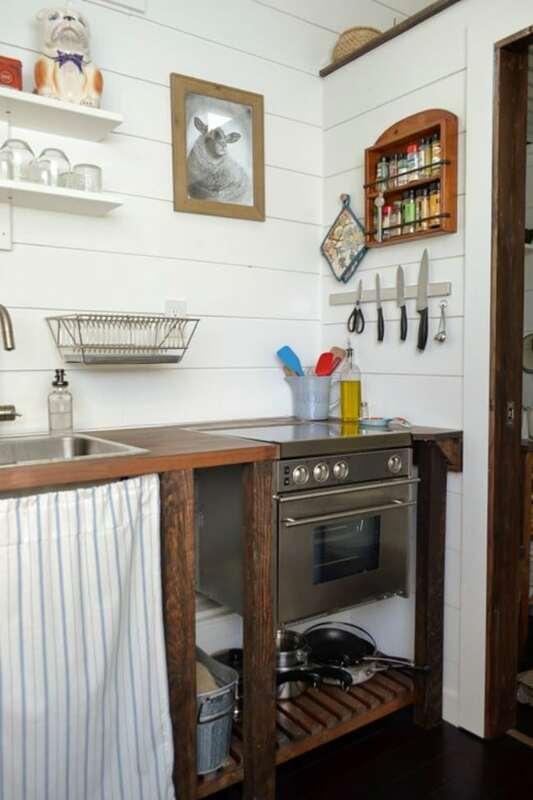 A perfect example is this 280-square-foot house currently for sale in Pisgah Forest, NC. Measuring 28.5 feet in length by 8 feet in width, it features large tempered windows in a design which is modern, but still contains touches of the rustic. A large porch in from the front door expands the living space. 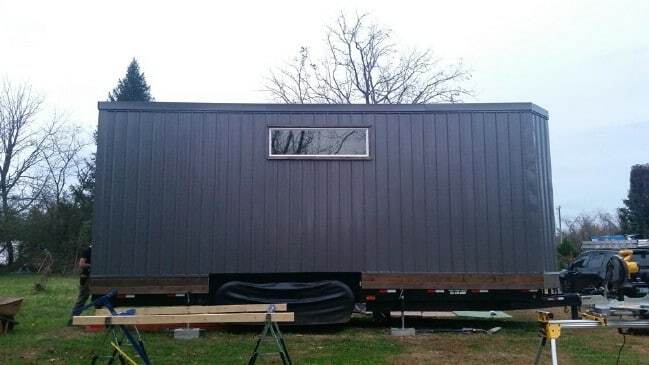 The back only has one window, but it is more than made up for by the huge window in front. You can understand this design decision when you see the interior. The lack of windows on the back wall makes it possible to provide extra storage space in the kitchen in the form of shelves and racks. Meanwhile, there’s plenty of light to cook by thanks to the large window directly across the way. Across from the kitchen counter, there is a small table with a bench against the wall. 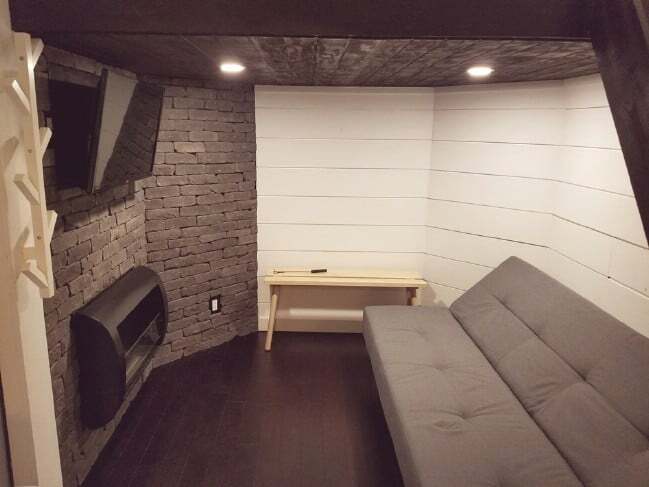 This provides a cozy spot to sit and eat or simply relax. A compact set of steps in the corner leads up to the loft. 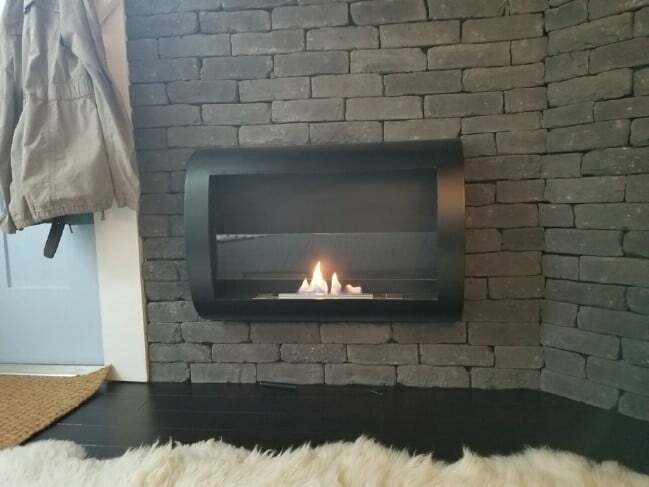 This is a real, working ethanol fireplace surrounded by Chicago bricks. You probably noticed that there is no chimney stack on the outside of the home. This is because this type of fireplace does not need one. Above the fireplace is a flat-screen TV, and across from it is a couch. 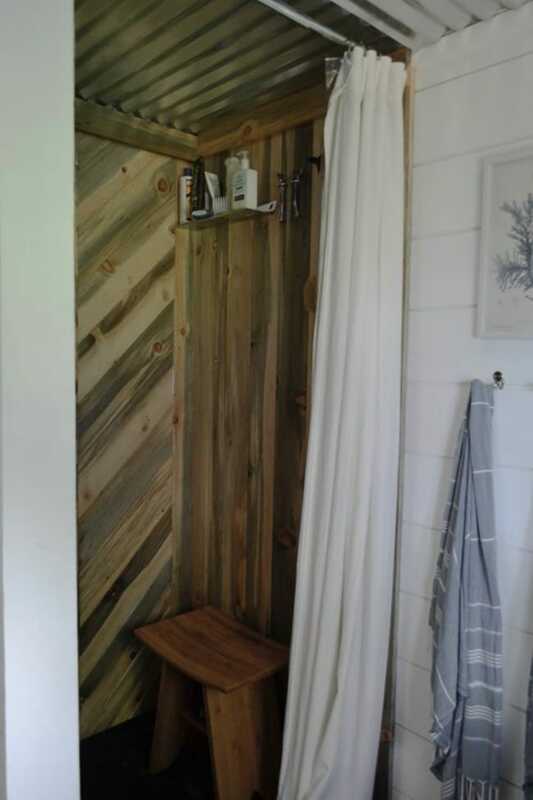 The walls are painted white shiplap, and the floor is bamboo. 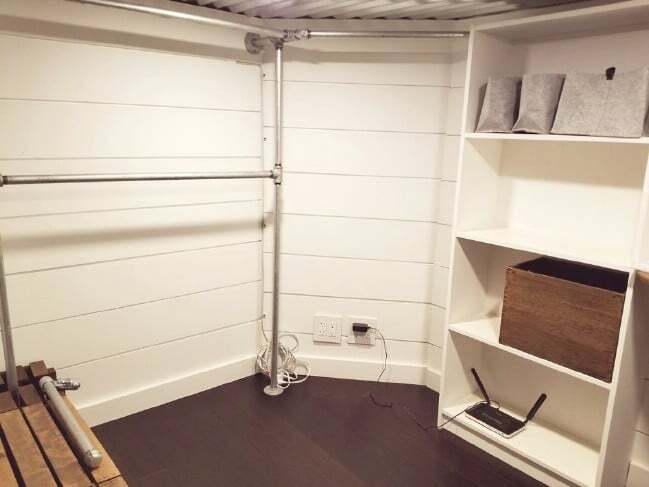 There’s an impressive amount of storage space available. This desk looks like it would be a great place to set up your laptop. 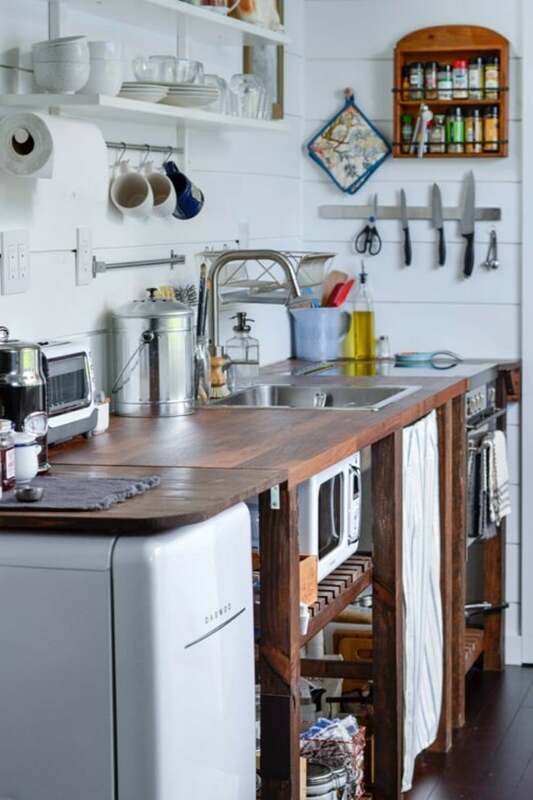 In the kitchen, there is custom shelving for all of your storage needs. 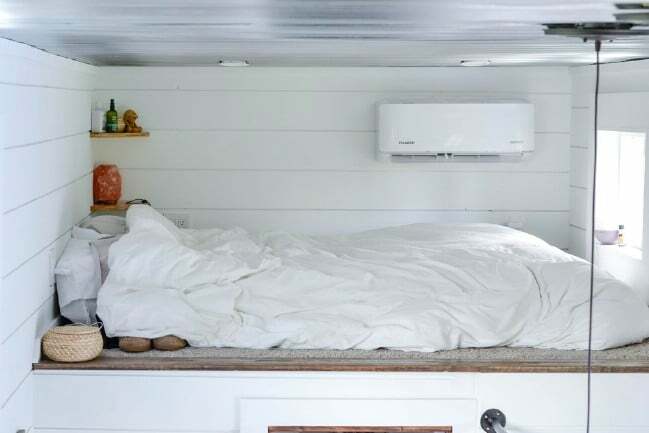 It also comes with a microwave and a mini fridge. The oven and stove are made out of stainless steel and were imported from Italy. 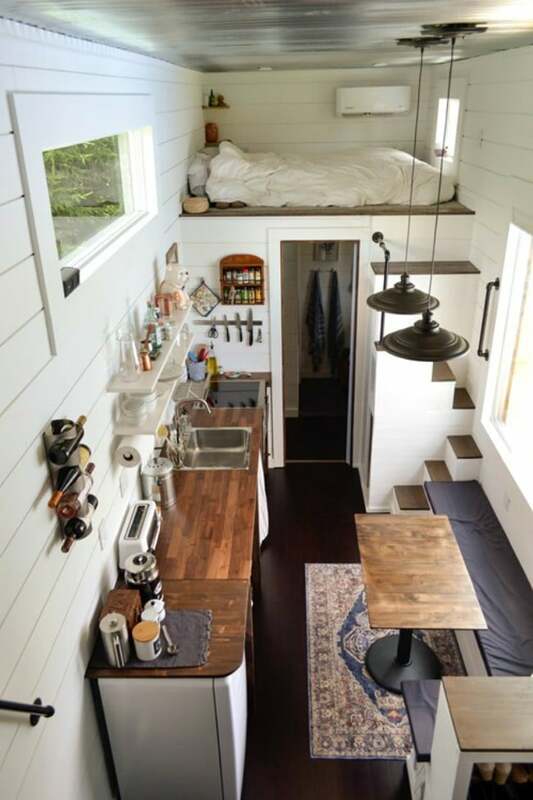 The bedroom loft is quite tiny, but it looks ridiculously cozy. 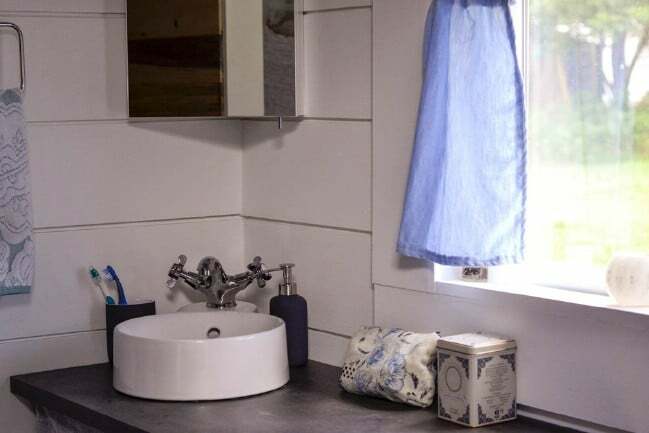 The bathroom features a tiny sink which is absolutely adorable. There is a convenient towel rack located right next to the shower. 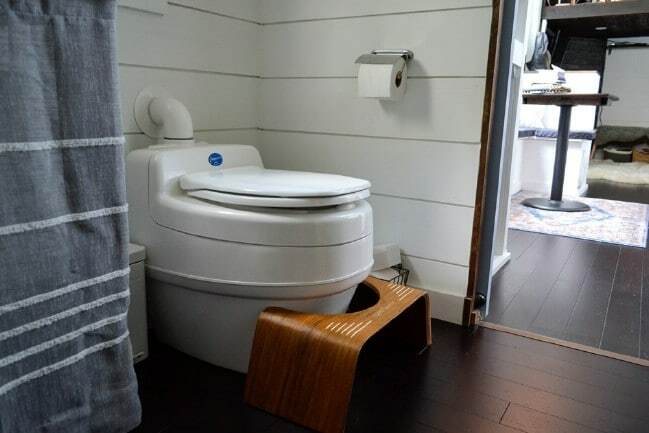 The toilet is a Seperatte Villa Compost model. 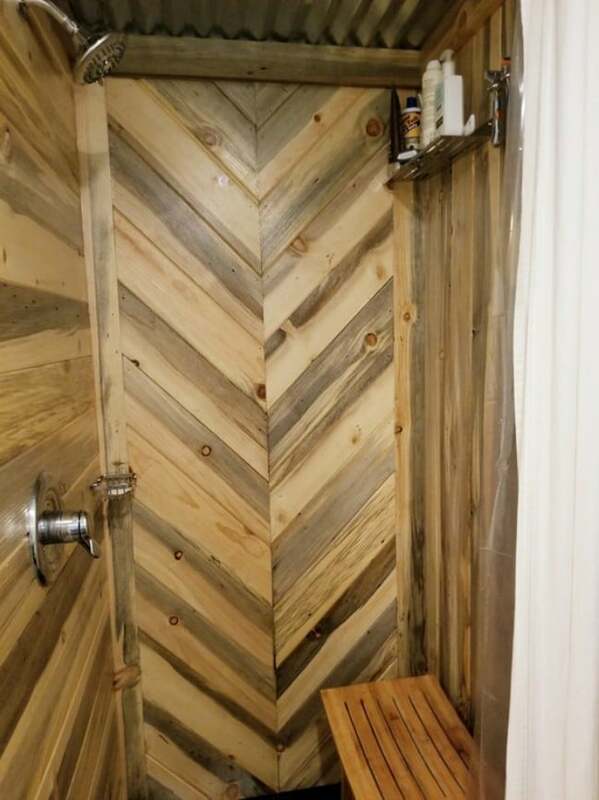 The shower is practically a work of art with that stunning wood. A high shelf offers abundant space for shampoo, conditioner and soap. 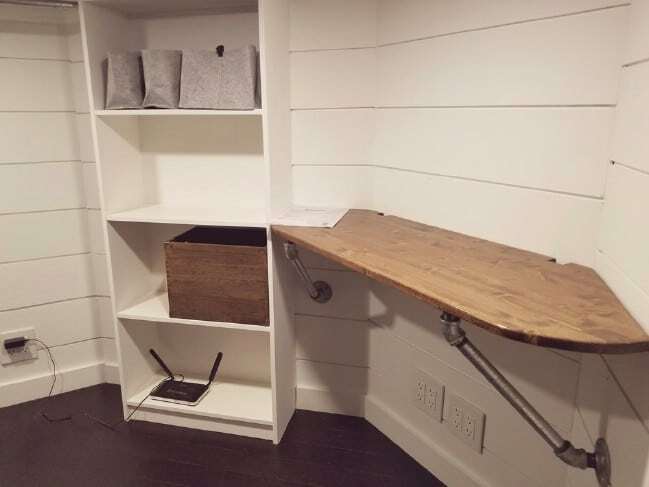 A bench makes the shower handicap accessible. 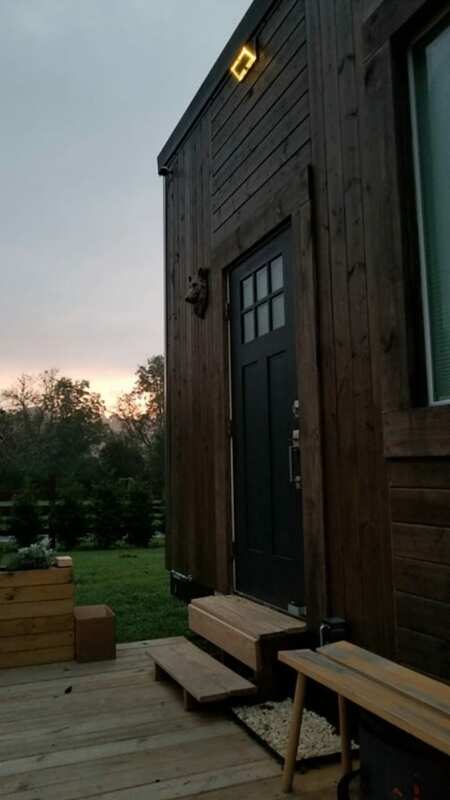 If you are interested in acquiring this tiny house, it is available right now for $85,000. Learn more here at its listing.